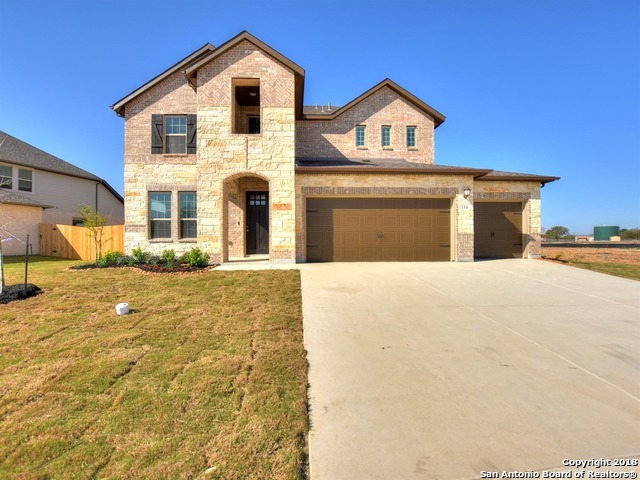 All SOUTHGLEN homes currently listed for sale in Boerne as of 04/26/2019 are shown below. You can change the search criteria at any time by pressing the 'Change Search' button below. "Brand NEW energy-efficient home ready NOW! Beautiful two story Evergreen with a master on the main floor. This home has a jack and jill bath between bedrooms 2 & 3 on the second floor along with a gameroom and a media room. The backyard has a 6 foot privacy fence and large extended covered patio. Community includes a pool and park. Known for our energy saving features, our homes help you live a healthier and quieter lifestyle, while saving you thousands of dollars on utility bills." "Brand NEW energy-efficient home ready NOW! This Mesquite 1.5-story home features game and media rooms and 1/2 bath upstairs, covered patio, tile throughout, bay window, blinds, designer backsplash, water softener pre-plumbing, and backyard sod and sprinkler. Southglen is conveniently located to local highways, Fiesta Texas, and La Cantera Shops. Known for their energy-efficient features, our homes help you live a healthier and quieter lifestyle while saving thousands of dollars on utility bills." "The Hamilton is a brand new floor plan in the Southglen subdivision. This beautiful 2 story home offers a first floor owner's suite with a bay window! A spa like owner's bathroom with an upgraded pebble floor, double vanity sinks and two walk in closets is a must see. A large kitchen with granite island and stainless steel gas appliances. Vaulted ceilings and a sweeping wrought iron stair case will invite you upstairs where you will discover a large game room, 3 bedrooms & 2 Bathrooms. Boer"
"Brand NEW energy-efficient home ready February 2019! 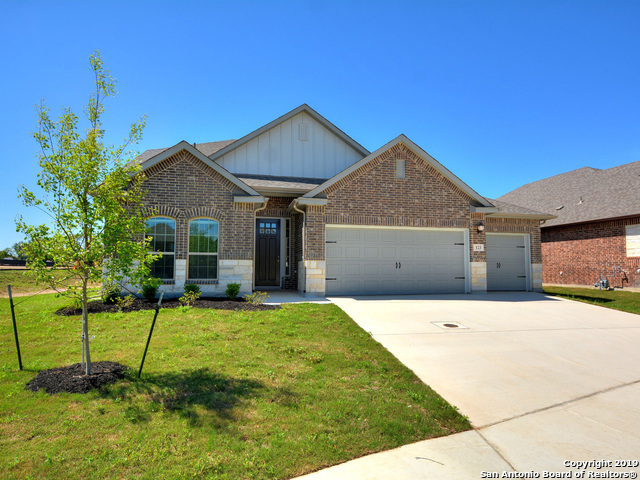 The single story San Saba home features 42 cabinets with crown molding, granite countertops, SS gas appliances, and much more! The backyard has a 6' privacy fence and covered patio. 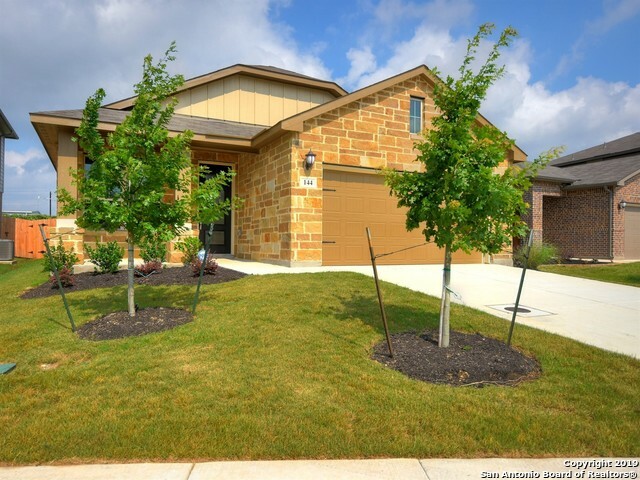 Southglen is conveniently located to local highways, Fiesta Texas, and La Cantera Shops. Known for their energy-efficient features, our homes help you live a healthier and quieter lifestyle while saving thousands of dollars on utility bills."